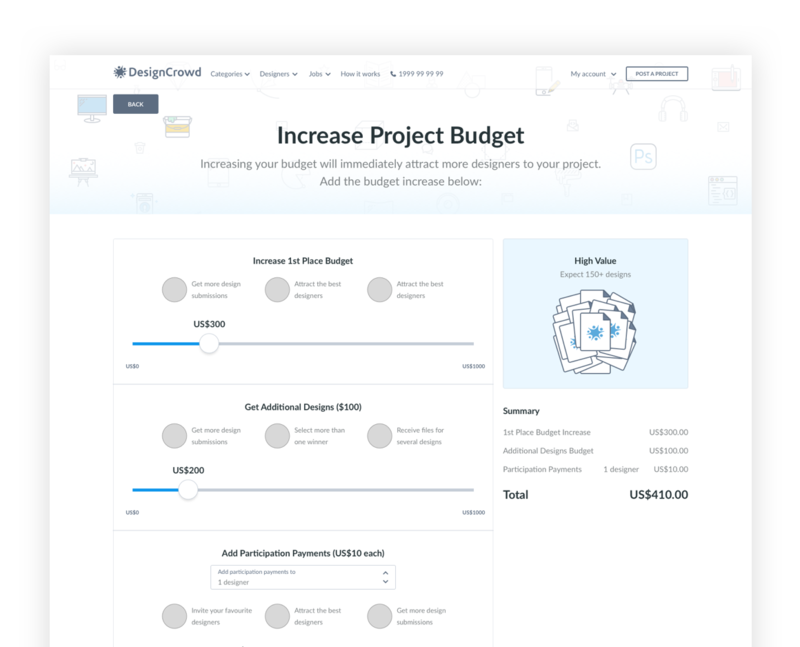 Increase the conversion rate of the Project Budget page and provide contextual information on the benefits of increasing a project’s budget or adding participation payments. Customers has not been receiving a good amount of design and entries. This is due to the fact that most contest has a very low budget. 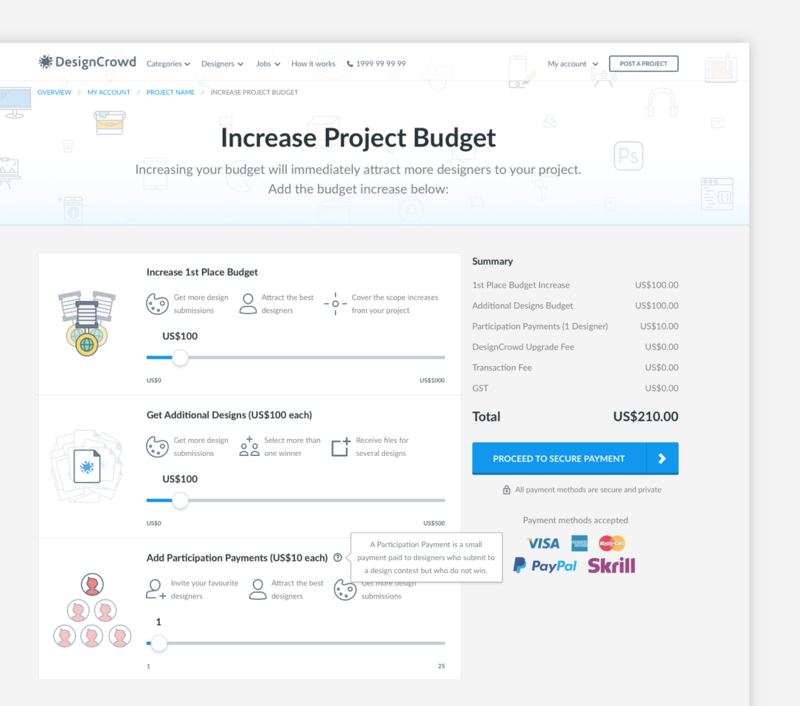 In order to increase the amount of entrants, customers must increase the budget of their contest and/or add additional participation payments to attract more designers. 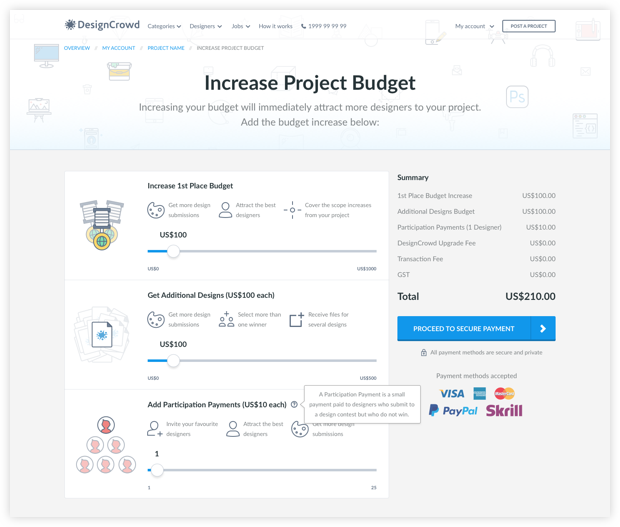 The previous design of the Project Budget page is uninspiring and it lacks the proper information to entice customers to up their budget. The solution I came up with is to clearly segment each of the awards and then present an insightful contextual information. 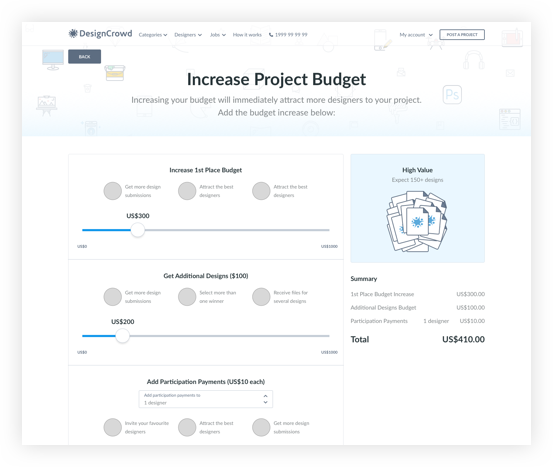 I decided to use a slider to make it easy for customers to increase the budget. 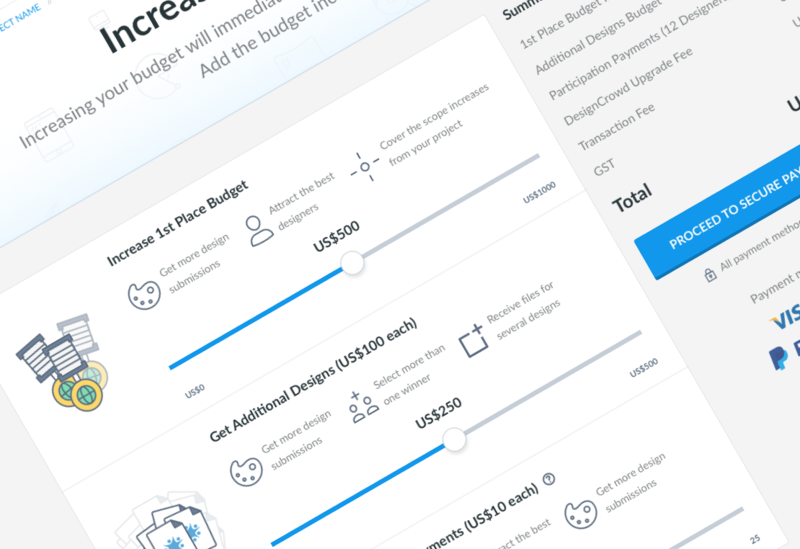 Aside from the slider feature, a form select method has also been provided for increasing the budget. Connecting the contextual information to the relevant sections has been explored as well. 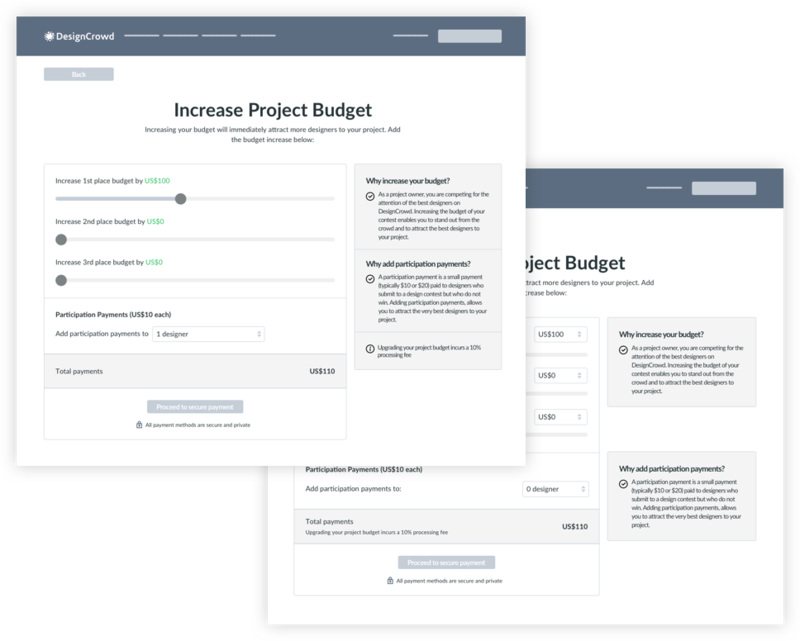 Another solution that I explored was to include a checklist of benefits on each of the section, this way customers won’t have to move their focus to the side of the page in order to read or review contextual information. By keeping the focus in one area, customers are not distracted and retain focus on their main task. For the final design, I combined stakeholder feedbacks and suggestions. I treated the feedbacks as a way to further improved my proposed design. 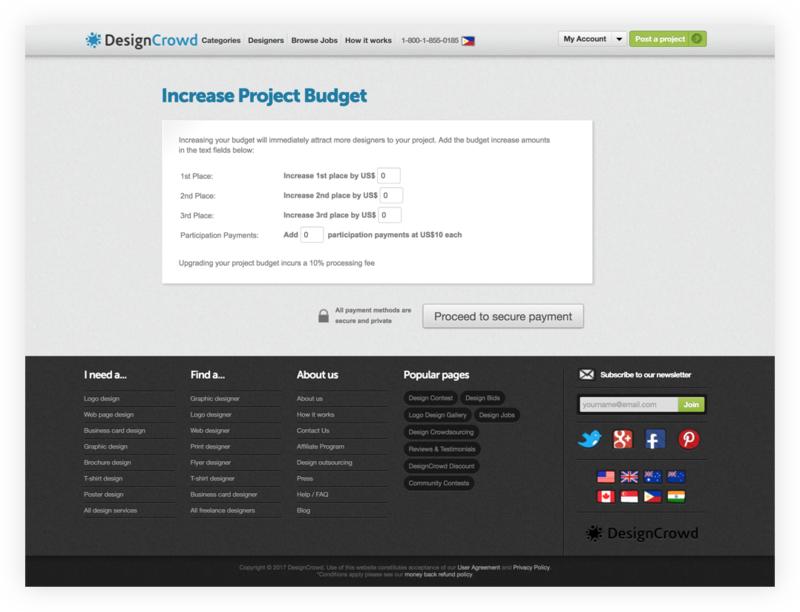 Final design has been implemented using existing DesignCrowd libraries. Have a particular project in mind?